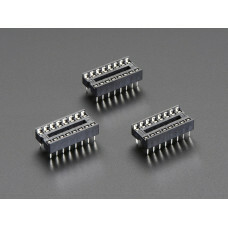 This item contains 3 of the 8 pin 0.3" wide version. Best used with chips that have 8 pins (2x4) and have 0.3" pin spacing. 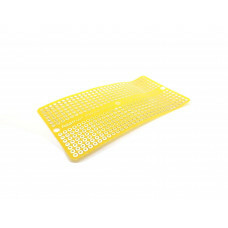 These are often used for soldering into a Perma Proto or PCB so that you can replace and swap chips easily. 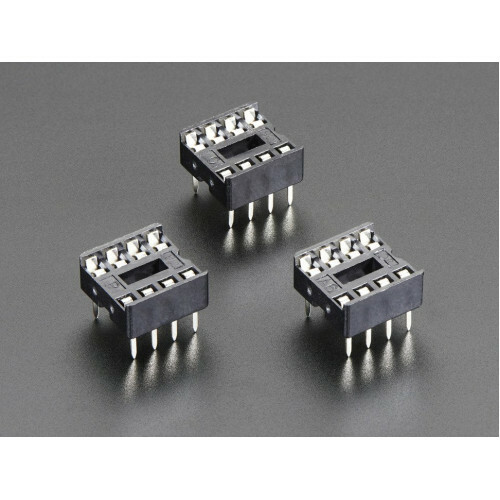 What's nice about IC sockets is that they are the same pin spacing and size so you don't have to redesign the board! 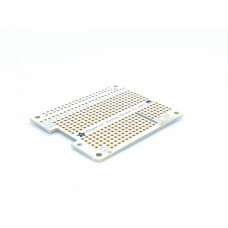 For our example photo, we put the socket into an Adafruit Perma-Proto Breadboard but any solderable PCB or protoboard will work great. Not recommended for solderless breadboards, the pins are not long enough. 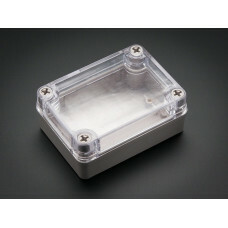 10mm x 10mm x 8mm / 0.4" x 0.4" x 0.3"
Store your project safe and sound in this nice weatherproof box with a clear top. 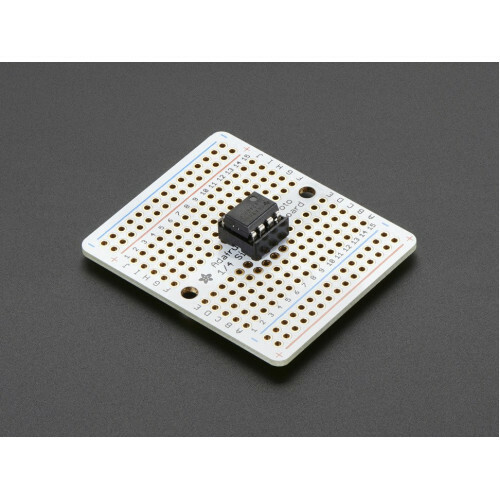 We picked up this ..
Add lots more outputs to a microcontroller system with chainable shift registers. 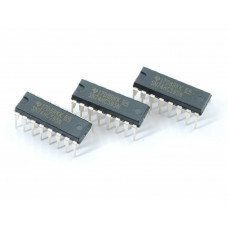 These chips take..
An IC (Integrated Circuit) socket allows you to insert and remove chips easily from an assembled kit..